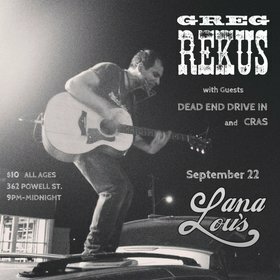 Greg Rekus returns to Vancouver !!! Winnipeg's wild child Greg 'Air' Rekus is easily one of the most entertaining preformers i've ever seen and hands down the most energetic. seriously! a sight to be seen and not just heard, Greg Rekus puts more than just his heart into it. he heaves mind, body and soul into his unique brand of acoutic punk ... but mostly body! 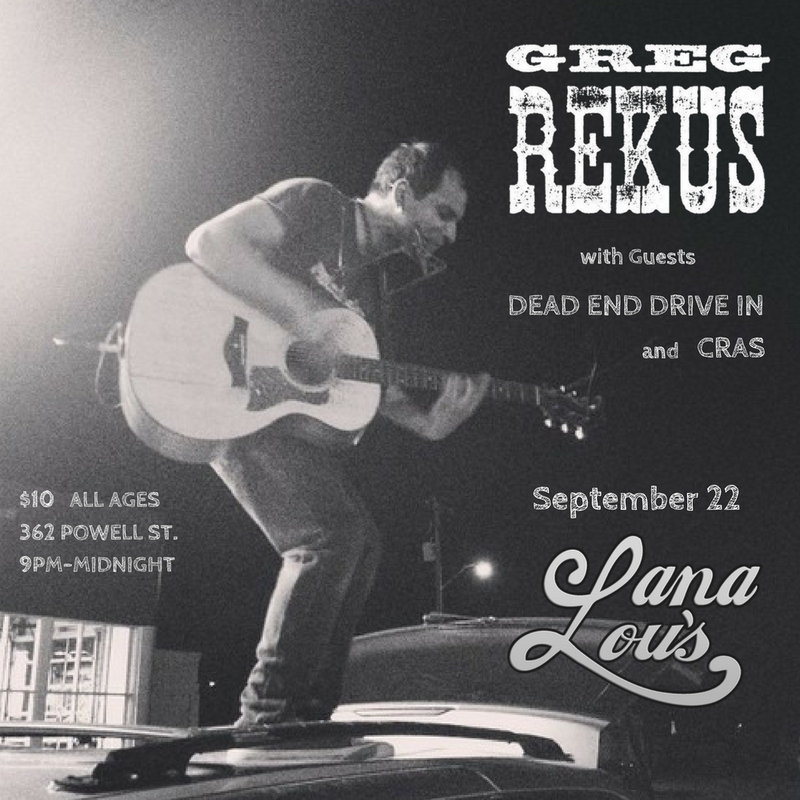 every time we've hosted Greg has been a hoot and i'm 100% positive this time will be no different with the addition of pop punkers Dead End Drive-In and Cras!